After going through a magical painting, young Jonas enters a fantasy world. Players help him cross the Mysterious Forest and face the frightening Queen of the Draconia. 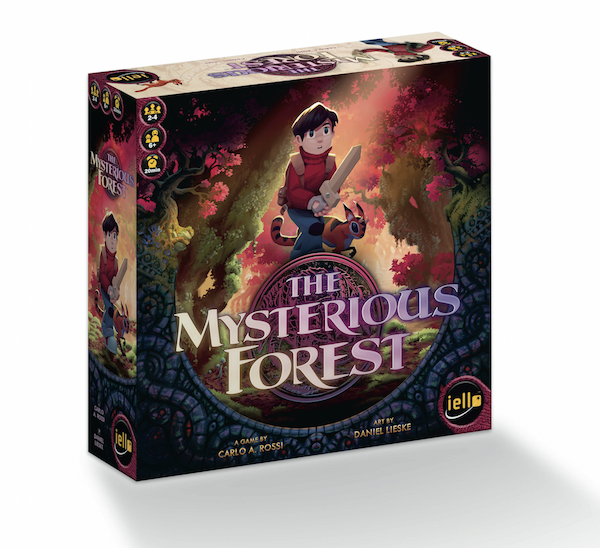 The game is played in three phases: During the scouting phase, the players look at each of the eight forest cards in play and try to memorize all the equipment they need to cross the forest. Then they prepare Jonas' backpack by rolling the dice and trying to get the right pieces of equipment. Once ready, the players start the expedition by turning the first forest card face up and discarding the required equipment from the backpack.